I was running a cross promotional campaign for my company’s daily email newsletter, ARN Daily, this morning. Almost immediately after the campaign email was sent out, DreamHost’s data center had an outage, rendering the campaign almost useless. This is the latest of many issues that I’ve had with DreamHost, unfortunately. I have a couple of other hosting accounts, with Arvixe Web Solutions, that I never have problems with. My Arvixe server gets hit with tens of thousands of page views per day and never has any problem. I guess this goes to show that not all web -hosting accounts are created equally. Read Reviews – There are dozens of websites, such as HostUCan, that enable consumers to post reviews of web hosting accounts. Browse around these websites and look for companies that have a large number of reviews and have a high percentage of positive reviews. It’s also a big bonus if the hosting company tries to resolve the issues that negative reviewers have directly on the forum or website that the review was posted on. Don’t Pay Too Little – If you’re running a personal website, an $8.00 a month DreamHost account is just fine. If you’re running a website that gets thousands of hits a day and makes any significant amount of revenue, don’t go the cheap route. The reality is that down time costs money and it’s worth it to pay more up-front to get a higher-quality hosting setup. For this reason, I run two dedicated servers to power my business’s websites. It costs $450 a month for both of them, but it’s well worth it. Test Customer Service in Advance – Before you sign up with a web hosting company, drop a couple of emails to their customer service email address and see how long it takes to respond. You can also call their 800 number and see how long it takes to get to a human. If you’re dissatisfied with the response time or the quality of response you get, look elsewhere. Be Skeptical – Read what the company is offering at various price points. If they’re claiming to offer you unlimited everything at $10.00 per month, you probably can’t trust that information. As soon as you get to any reasonable amount of traffic or bandwidth usage, you’ll likely get cut off. This is a common issue with WordPress Hosting because WordPress tends to be taxing from a CPU perspective. Make sure what the company offering is something that they can reasonably afford to offer for what you’re paying. Check Technologies – Make sure that the hosting package you’re signing up for matches the technology of the software you want to use. If you’re going to use WordPress, Drupal or Joomla, you’ll want a Linux hosting package that offers PHP and a MySQL database. If you’re using any ASP.Net based solutions, you’ll want a Windows package that comes with a MS-SQL database. 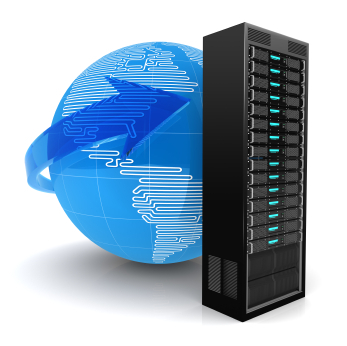 Of course, these are just a few suggestions to make a better choice when selecting a hosting company. Feel free to share your thoughts about what constitutes a great hosting company in the comments below. For my churches Joomla website I chose Rochenhost and I have been very pleased with their service. This is a handy allocation for me. I was in the middle of confusion due to lack of knowledge to select a high quality web host but your blog gives me precious idea. I hope now I will able to select high quality web host very easily. Thanks for helping me out.